Did you ever want to start over with your skin? If I had a second chance to do it all over again, i’d probably run out and get a sunscreen post-haste. I’d go the extra mile and do WHATEVER it takes to never pick a pimple again. And of course, preventing fine lines would be an utmost priority. Well, two out of three possibilities aren’t bad (there’s no way to completely avoid wrinkles yet). But there IS hope of getting rid of fine lines, melasma, surface scars and more with a little molecule named glycolic acid. Simply, the glycolic acid benefits are a-plenty. It turns back time on some of the ways we tend to neglect or damage our skin. What is Glycolic Acid, Anyway? Heard of alpha hydroxy acids (AHAs)? Glycolic acid (GA) is a mild but powerful AHA. It’s used to resurface the skin and is present in a bunch of different product types, from cleansers to peels and creams. In short, GA exfoliates, just probably not in the way you’d expect. GA temporarily loosens the structure of the tough, outermost layer of your skin in order to work a more even and complete exfoliation (as compared to, say, a scrub), according to research published in the Archives of Dermatological Research. GA is a chemical exfoliant. So it doesn’t make teentsy little scratches on the surface of your skin the way a scrub can. Instead, it “unglues” the dead skin cells and sebum that can clog pores, says dermatologist Laura Ciraldo. Let’s see how else this exfoliant is different from a regular scrub. 1. I mentioned above that it clears away dead skin cells, but that means the invisible layer and any scaly keratinization caused by really dry skin or sun exposure. While scrubs tend to just irritate dry patches, GA sweeps it all away, according to research. 2. According to a UCLA study, glycolic acid chemically stimulates skin cells to produce collagen. It helps produce far more collagen than mechanical scrubbing actions. By the way, collagen is what makes your skin appear youthful and plump. It reduces the fine lines that come from sun exposure and gives you an overall smooth texture. 3. GA is used to clear acne. It’s great at helping avoid breakouts before they occur, says Dr. Ciraldo, since it clears away sebum, a top contributor to acne. 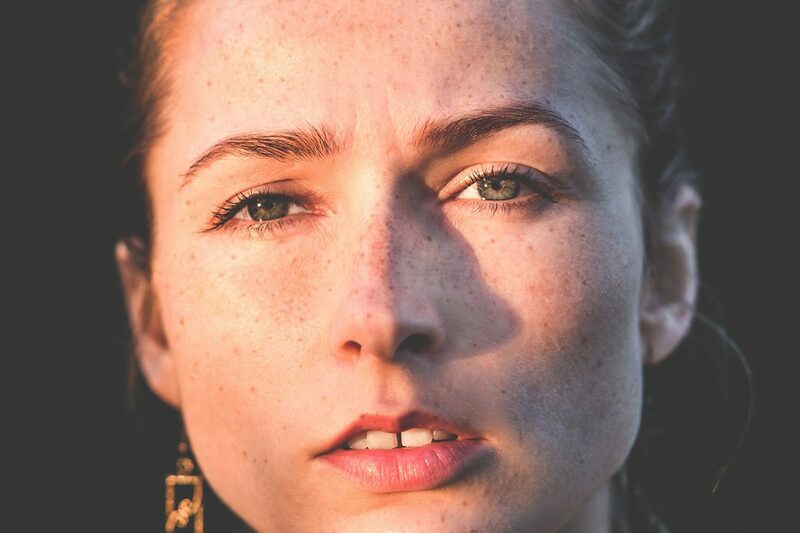 Facial scrubs do that, too, but glycolic acid can even reduce acne after a breakout, says research from the American Society for Dermatologic Surgery. The study also says GA reduces redness, acne scarring and enlarged pores. 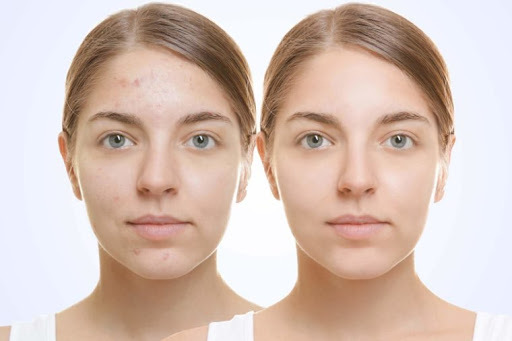 After the three month study period, people who were acne prone had much smoother skin and even a bit of a glow. If you have serious problems with acne yourself, you can imagine how exciting that must have been for them. 4. Glycolic acid benefits by clearing hyperpigmentation from acne scars, sun damage and age spots. And get this: at concentrations as low as 5%, it disperses discoloration at the bottom layer of the skin, according to the University of Toronto. 5. For me, the best glycolic acid benefit, though, is that you don’t need to see a dermatologist to get really good results. You just need time, says Dr. Ciraldo. She says dermatologists use high concentrations of glycolic acid (30-70%) in their treatments just to speed up the process. Although it will take longer, Dr. Ciraldo says you can get results similar to the pros with products that have lower concentrations (8-10%). That’s just awesome. Some Final Tips and You’re All Set! Sadly, there’s another side of how glycolic acid benefits your skin. For instance, regardless of the concentration, GA makes your skin more sensitive to the sun’s rays, research shows, so using sunscreen is essential. (But with our new skin, sunscreen was going to be a daily thing anyway, right?) Oh, and make sure to have a super hydrating moisturizer handy. Like any other exfoliant, glycolic acid might cause a little dryness. Lastly, let’s not attempt to speed things up by using another exfoliant with this. Promise? The Clinical Cosmetology & Investigative Dermatology Journal says it can damage your skin to apply scrubs while using glycolic acid products. For quicker results, always see a licensed pro. Got your sunscreen, moisturizer and glycolic acid goodie? It’s time to start over with new skin! This entry was posted in Uncategorized and tagged Glycolic Acid. What is Korean Beauty and Why is it so Popular?